Exit Piccadilly Circus Station onto Haymarket. Walk down Haymarket for approximetely 2 minutes. The theatre is on the left hand side. The hilarious hit television series, Only Fools and Horses is being brought back to life as a musical! Watch the Trotters and their nostalgic Reliant Regal van as Del Boy is off to find his soulmate, Rodney and Cassandra are preparing to tie the knot, and Grandad is going to be reflecting on the past. Featuring the classic gang; Del Boy (Tom Bennett), Rodney (Ryan Hutton), Grandad (Paul Whitehouse), Raquel (Dianne Pilkington), Cassandra (Pippa Duffy), Boycie (Jeff Nicholson), Marlene (Samantha Seager), Denzil (Adrian Irvine) and Trigger (Peter Baker). Written by Paul Whitehouse and Jim Sullivan (son of the original writer John Sullivan). With musical contribution from Chas n Dave, enjoy the classic theme tune and a bunch cockney comic songs. Written by the late John Sullivan, Only Fools and Horses first aired on the 8th September 1981. The show following the life of the ambitious market traders, Del Boy (Sir David Jason) and Rodney (Nicholas Lyndhurst) Trotter, and their attempts to get rich. Set in Peckham, South-East London. 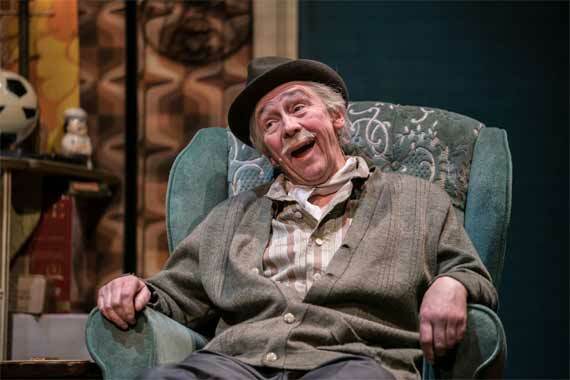 Living with the two entrepreneurs was their elderly Grandad (Lennard Pearce) until 1984 when Pearce died and Uncle Albert (Buster Merryfield) took the reigns of the older family member. The Trotters and supporting characters. Trigger, Boycie, Raquel, Cassandra, Marlene, Denzil, Mickey, Mike, Damien and Sid went on to entertain audiences until 2003. The television series ended in 1991, however a further sixteen Christmas Specials aired until 2003. 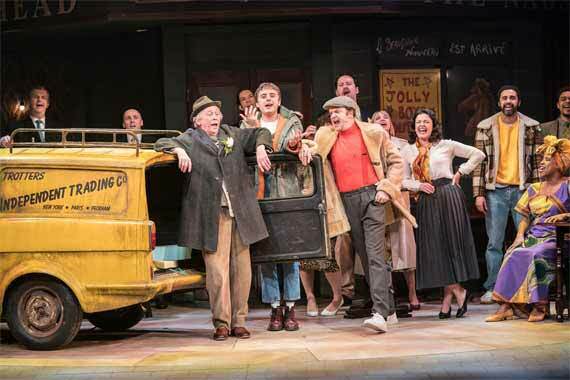 After the huge success of the show, John Sullivan began to write Only Fools and Horses -The Musical, the stage adaptation of the television series. However, when he died Paul Whitehouse and Jim Sullivan continued to develop the musical, remaining true to the original scripts. 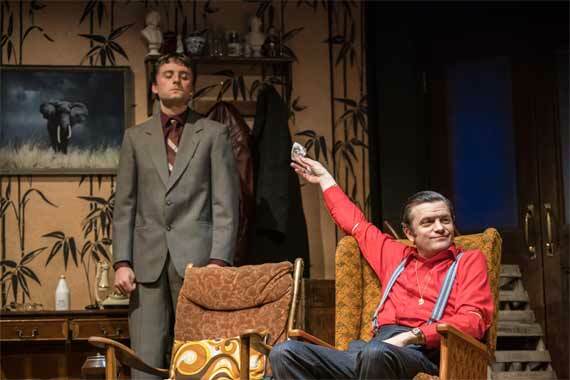 Why book London theatre tickets to see Only Fools and Horses - The Musical? With your theatre tickets and hotel booking made in one reservation, it is possible to save up to 50% with Hotel Direct. Sound cushty, then book now. As this is a new production, it does not currently have any reviews or awards. John Sullivan wrote every episode and even sings the theme tune to the series. In the episode where Del Boy and Rodney remove a chandelier, the actors only had the one take as the chandelier cost £6000! Over the decades, more than a dozen Reliant Regal vans were used. "Excellent show, wasn`t sure the team could pull it off but they did a superb job"
"Very funny. 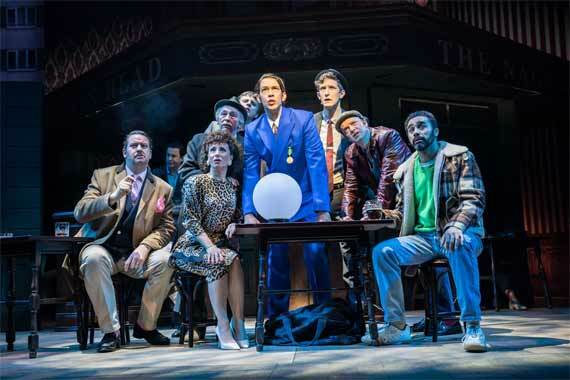 Music and cast fantastic"
Only Fools and Horses - The Musical Rating:	97%	out of	100	based on	7	reviews.